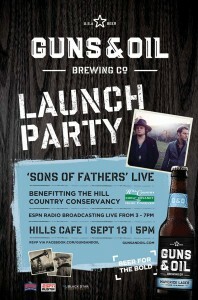 Guns & Oil Brewing Co is hosting their launch party Sept 13 at 5 pm at Hills Cafe with Austin’s own Sons of Fathers live. The party will benefit Hill Country Conservancy. 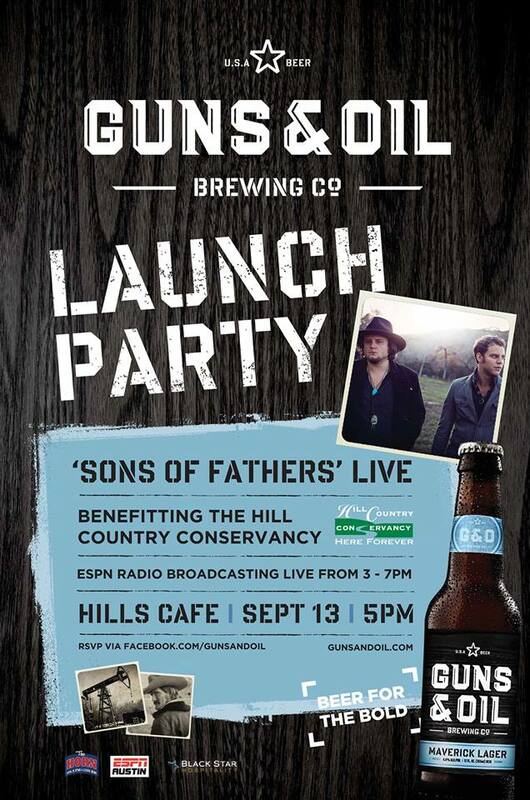 ESPN Radio will be broadcasting live from 3-7 PM followed by Son’s of Fathers Performance. Must be 21 and up to enter, event is free and open to the public.